The Project Mc2 girls just keep getting more and more exciting with their fun experiments. That means that also the dolls are getting more interesting with the experiments they come with. On the Netflix show of Project Mc2 the girls are always getting creative and getting their heads stuck into Science, Technology, Engineering and Maths. So now with the new Project Mc2 Dolls, you can join in with your doll by doing your own experiments. 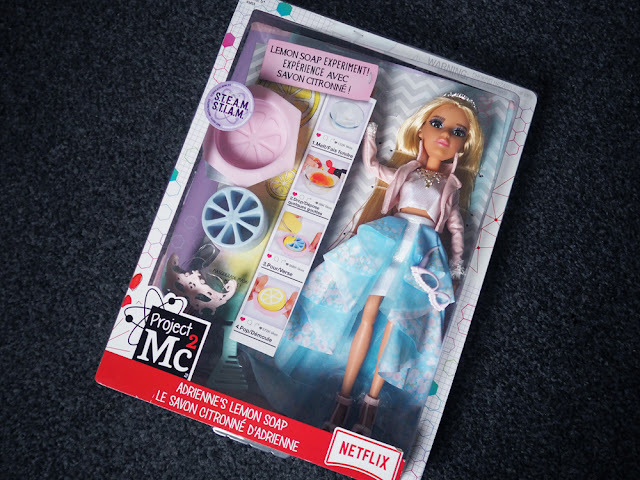 We were sent a Project Mc2 Adrienne's Lemon Soap doll to review. Lily is only just about to turn 3 so is a little young for this yet as the doll is recommended for ages 6+. But being a very keen doll fan myself I could not wait to see what this doll was all about. The first thing I will talk about is the doll herself. Wearing a huge gown and crown she is beautiful. Her face is really pretty with real eye lashes and really clear bright eyes. She does have a little make up on but it isn't over the top. Her hair is straight with some pink highlights in. Which looks great. Her body is quite light and you can move her arms and legs at the joints so she can sit in different positions. Her hand also has 2 fingers up so she can make the peace sign. Only thing I found funny with this was that because she was moveable at the joints, you could move her hand and it made it look like she was swearing. Luckily kids aged 6 shouldn't understand about swearing yet. 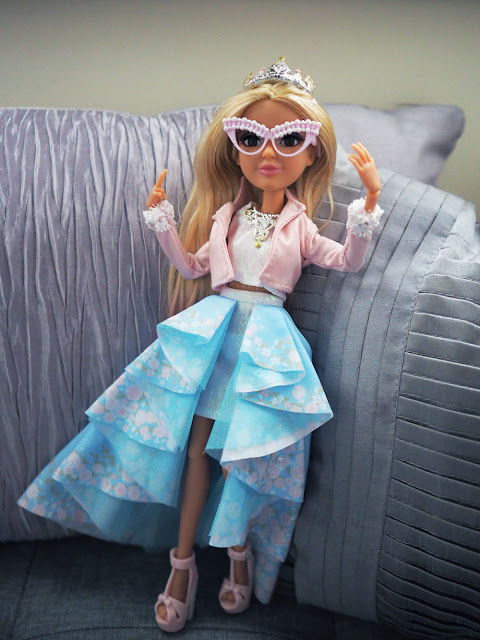 Her outfit is really stunning, and girls are going to love having this doll. She wears high heels and has a jacket and a necklace. She also comes with glasses that you can remove and a mask that you can also put on. She is all dressed up and ready to show off her style. But first, she needs to smell good and this is where her experiment comes in. 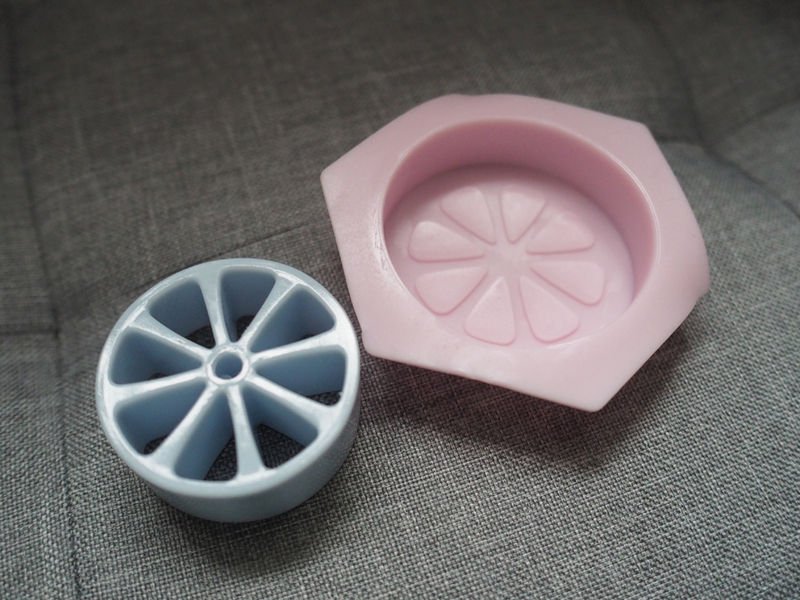 The set comes with a soap cutter and soap mold so then you can make your own soap. You may have to buy the rest of the things to make the soap with though as these are not included. Yellow Food Colouring, Soap Making Soap Base, Rubbing Alcohol, a knife, Lemon Extract, a Microwave safe bowl, Spray bottle, and Heat insulating gloves. The doll comes with instructions on how to make the soap and it takes 13 different steps to make it. This is something I have not done yet as I don't have all the items that are needed. 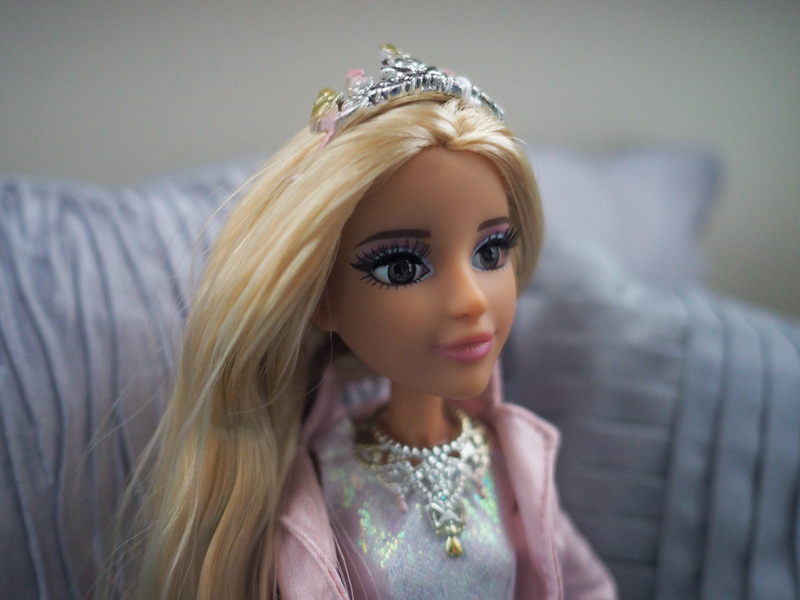 The project Mc2 doll retails at £24.99 and can be bought from most retail stores. What do you like about this doll? I like the connection / link with Science. Though it does seem such a shame that the doll is not supplied with all or most of required items to perform soap making. Cute doll, and a very interesting combination; I think it coming with a crafty activity is a really nice idea. Thanks for the review! I would not buy the doll on its own but love the idea of including a craft activity with it.